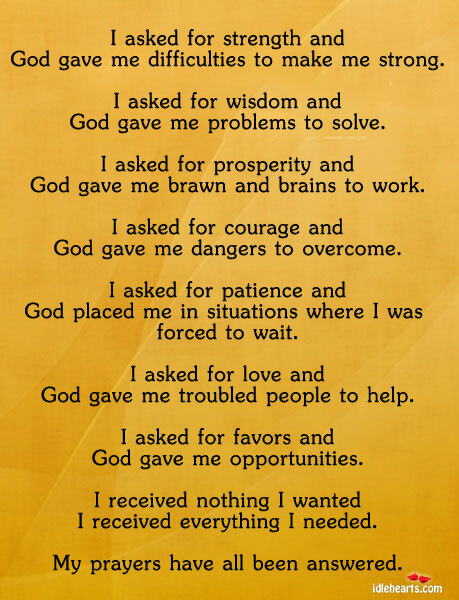 Daily Inspiration: Thank You God! Good morning! Just a few hours from now, we will say goodbye to 2012 and welcome 2013! So let me share our last Daily Inspiration for the year. Let us thank God for all the blessings that He poured over us. I thank God for giving me trials to test my strength and capabilities. For the bountiful blessings, much more that I deserve, THANK YOU GOD! I would also like to thank you all guys for inspiring me to write more and spending time to read my posts. God bless us all and may we have a much better and prosperous 2013! After the Noche Buena, everyone is looking forward to Media Noche in celebration of the coming new year. You can view our Noche Buena here. We had crispy pata instead of ham. But should have seen this Homemade Honey Cured Ham recipe, I still prefer ham. Hehe. True enough. When we are going through a hard time, our strength and capability is being tested. 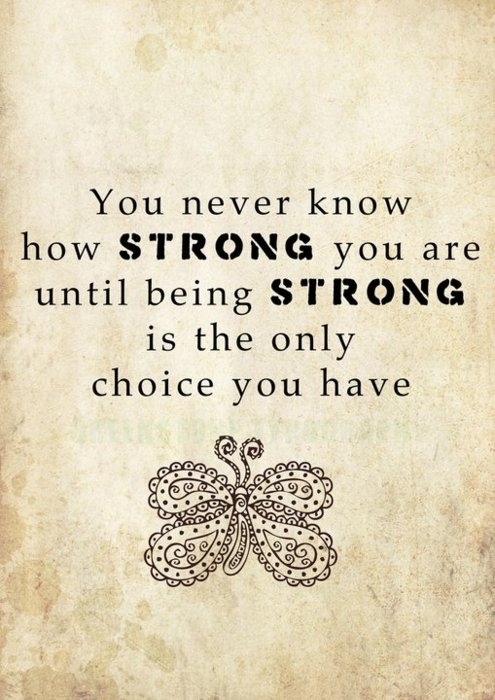 And we will only know how strong we are until we don't have choice but to be and stay strong. Stay safe and enjoy this blessed day. Photostory: He is a Big Boy na! I am always thankful with everything God is giving us. One of our biggest blessings is our son, Matt. Look at how big he is now. At his young age, he already gone through a terrible accident. Just remembering that day makes me feel weak and crying. But look at him now. The scars are almost invisible but the memory is still fresh. He is growing so fast and so smart. He is so talkative and so energetic.He eats like there's no tomorrow. Haha. Imagine he eats more than his Lola eats. What I like about him is he is never a picky eater. He eats almost all of the vegetables including ampalaya. Another thing is he consumes less milk now. Maybe because he eats three full meal with snacks in between. He will just ask for milk when he is about to sleep or when he remembers it. Also, apart from being potty trained already, for more than a month now he never pees at night. But still I put cloth diaper (with 1 bamboo-mf insert only) just in case he accidentally pees. Sorry for being a little senti and madrama. Just 3 days to go and it's another brand new year. Enjoy the rest of the day! 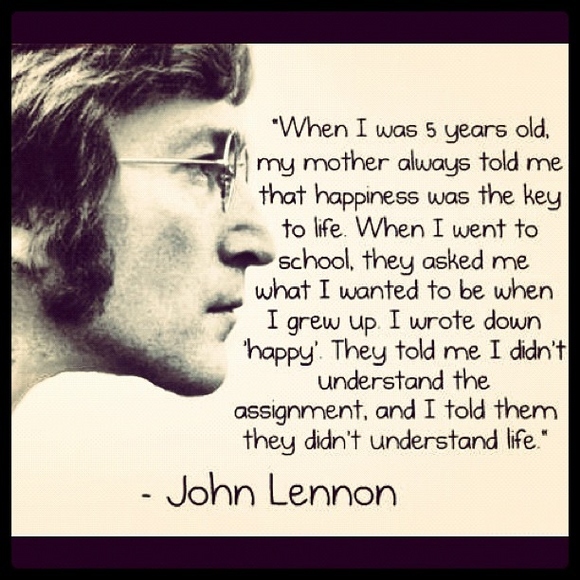 Daily Inspiration: To be "Happy"
"Happiness is the key to life", such a nice quote. When I was young and carefree, I always vision my life to be rich and famous. But everything just change when I have my own family and my son. I just realize that all I wanted to is to be happy and my family to be happy as well. Nothing more, nothing less. I already told you that Matt really loves solving puzzles. You can read here and here. He loves coloring books too. So now, let me share again the latest puzzle he is solving. Love this boy so much! Good morning! Just 4 more days to go and we will say hello to 2013. Super bilis ng araw noh? Hopefully 2013 will be even better for all of us. Let us have first our Daily inspiration for today. 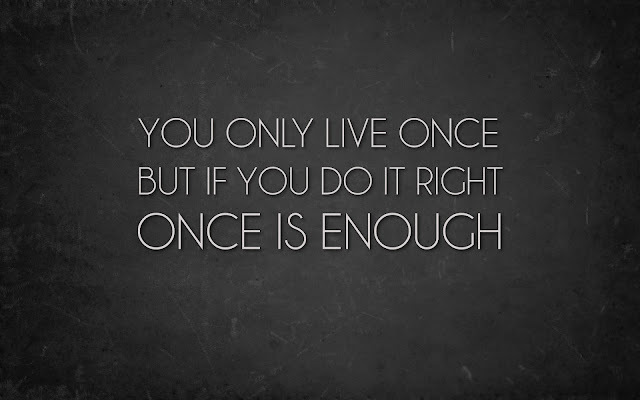 We will only have one life so live it to the fullest. Enjoy every second of your life. Again, here's another FREE Blogger Event! Make an announcement post about the event. Event dates: 1/3 - 1/31. Open worldwide. P.S. Don't forget to write down Momaye's Diary who REFERRED you. Thanks! Bloggers!!! Here's a FREE Blogger Event for us! Winner will receive 20,000 credits to MobileRewards.net, that can be converted to$200 PayPal Cash. Make an announcement post to get a FREE Facebook Link. If you choose no announcement post please send $5 to admin@jennsblahblahblog.com. I choose to post our Photostory first than our Daily Inspiration because like what I have already said, today is our 113th monthsary. 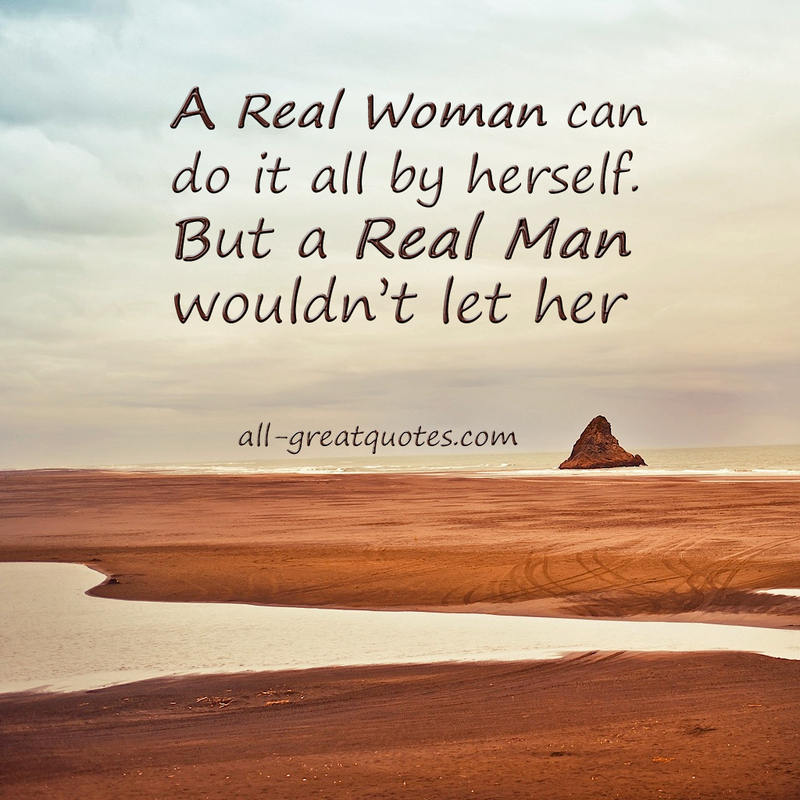 And it is always an inspiration to wake up each day with the man you truly love. Moving to our Daily Inspiration. Everyone of us is being tested. The only difference is the way we react and handle the situations. I, at some point, almost give up during the toughest test God ever gave us. 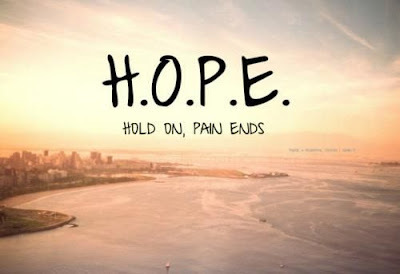 But God is always good and just when I am about to fall, He held my hands and helped me stand again. God has His plans for us so what we can do is ask for His guidance and let Him lead the way. Remember God is good all the time. Happy Thursday! Just 5 days to go and we will say hello to 2013. Pansin ko lang. Parang bihira na kami magpa-picture. We used to be so addict in taking photos kasi. Hehe. I cooked and prepared the spaghetti and macaroni salad, while Daddy made the crispy pata, palabok and crema de fruta. But we don't ate that night since Matt don't want to come down and Daddy can't eat because he is a "little" drunk. Hehe. Well, anyway, I am thankful that God continuously blessed us and keep us safe and healthy. Have a blessed holidays everyone! Hello everyone! How's your Christmas day? Now, I know everyone is looking forward for the New Year naman. But for the meantime, we are back at work. Aw, I hope it's Saturday already. I am missing Matt so much. He is super kulit these past days maybe because his grandparents are around. Last night he fell and hit the edge of a chair. He got a cut in his lips and thank God it doesn't swell much. I applied ice pack and healing oil last night and I cried while I saw him crying and having tantrums. I thought he is coping pretty well with the terrible twos but then his attitude is changing again. He is having a hard time expressing his self and that he wants to be independent by doing things on his own (and even saying things) but he can't do it just yet. I try to talk to him when he is calm and he would answer me with "opo". So I think, he is a good boy still. Well, let's move to our Daily Inspiration for today. I agree. 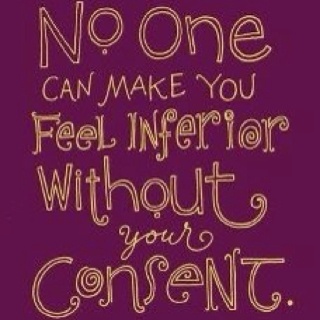 Don't ever allow anyone to let you feel inferior. All of us are equal in God's eyes. 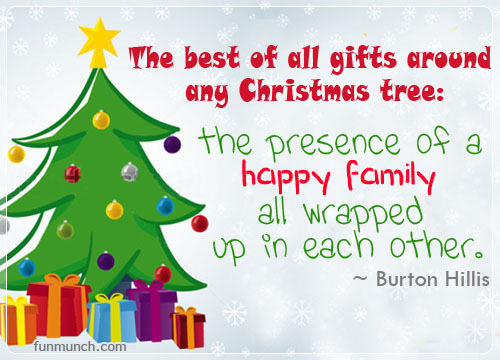 Truly, our family is the best gift we could ever have this Christmas Spend this day with your family and let love bind you together. Have a Blessed Christmas day! In a few hours, Christmas is here. So allow me to thank each and everyone who tirelessly reading and following each story, photo and everything I have posted in the year that is about to pass. 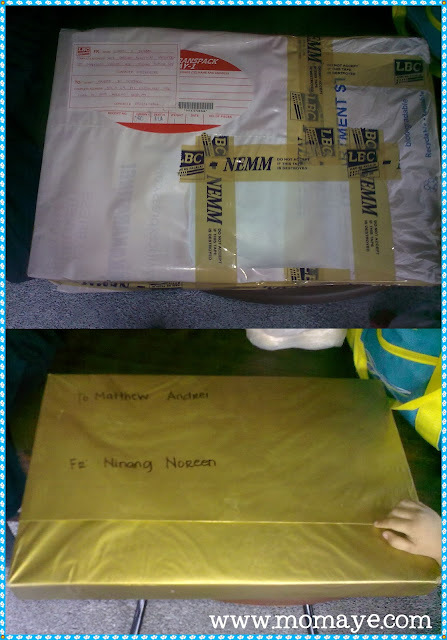 From Daddy Allan, Mommy Maye and Cutie Matthew Merry Christmas! Hello! Everyone is excited to have the Noche Buena tonight. We will start to cook early so we can relax before the Noche Buena. One thing I am missing about Noche Buena is being with my siblings. Ever since I got married, I don't get to spend the Noche Buena with them. I wish they are here with us too. This is the consequences we have to face by choosing to live far from our hometown. But this is where life brings us and I am thankful that God is always good to us. So, I shouldn't be complaining and just pray that all my siblings will have a good life ahead, just like us. Sorry, sorry... It should be a happy post. Gotta take a deep breath first, hehe. 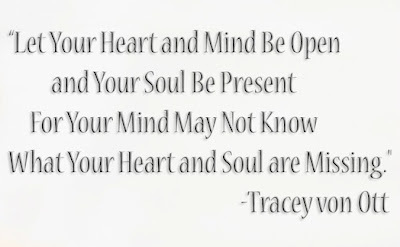 And os let me share with you our Daily Inspiration for today. I can't help myself from sharing this with you. Nice naman kasi di ba? The quote says it all. There's no perfect way to raise our children. 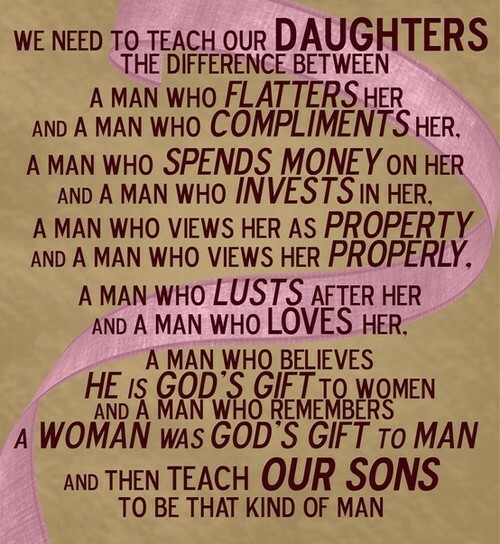 But teaching them the right way will help them be a good man and wise woman. Hehe. When you see the smile of your child, priceless right? It's not about the material things that we are providing them. Children appreciate more the time that we are giving them. I feel guilty every time Matt wants to play with us and we just can't. He will simply do his business, that is watching educational videos on his tablet, solving his puzzles or playing by himself. It breaks my heart to see him that way. So, I make sure we allocate a day just for him. To make him feel he is more important than anything else. Who can't say he enjoyed his ride? I can see he is extra happy and energetic when we are around. So we really need to extend our patient after all he just want to impress and make us proud. 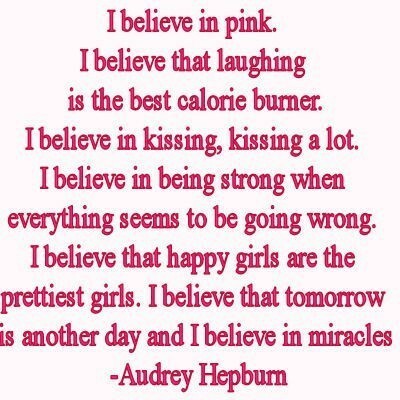 Just like what I always say, just believe and everything will be alright. Have faith in God because miracles do happen everyday. Have a blessed Sunday! Just 2 days to go before Christmas! Is Matt really good this year? Maybe he has been good because he just received his second Christmas wishlist. The first one is the piano. Look how excited he was and he opened it right then and there. Haha! I told him to wait for the Chrsitmas eve but kept on telling me "bukasin Mommy." Then, when I opened the box he exclaimed "wow!" 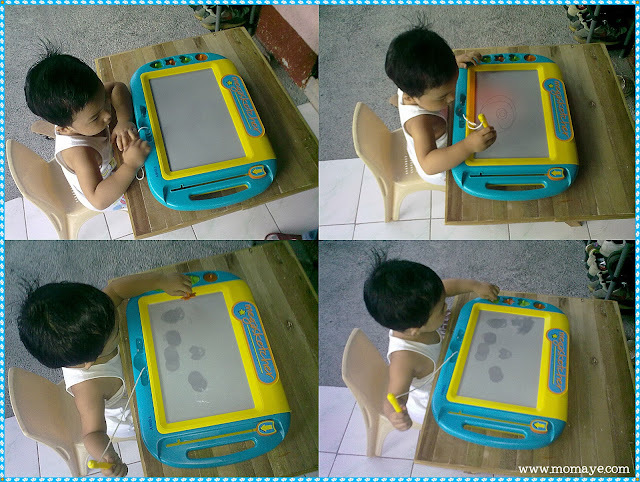 Look, he scribbles as soon as I laid it on his table. He actually have smaller magic slates but this Megasketcher is love! I like that you just need to pull the eraser down then it will move up to erase the whole screen. The pen writing is clear too. This is a perfect gift for toddlers. Megasketcher is available at Toy Kingdom. Again, thank you so much Ninang Noreen. You just make our little boy happy! Oh my, oh my! Just 3 days to go and it's Christmas. We can't stop the time and everyone is excited I know. It's the last day of work for us before Christmas. I know many are on vacation already. My In-laws will be arriving today and I am sure my son will be happy to spend Christmas with them. 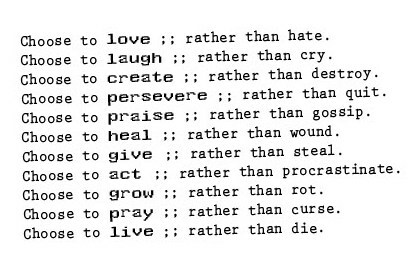 Okay, let's have our Daily Inspiration for today. I love it! Spreading positivity is what I always want to do. But I know there are times I need someone to share with me that too. Make someone happier and let them feel better. 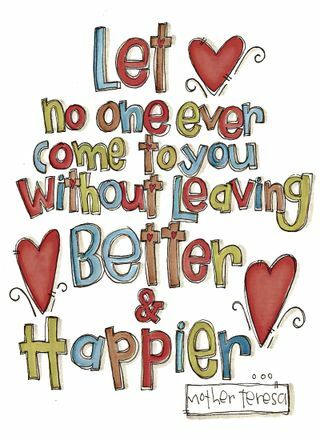 Spread the love and happiness! I am thinking to not have a ham this Noche Buena. Daddy said, we can just buy a roasted chicken instead. Or we can have Crispy Pata. 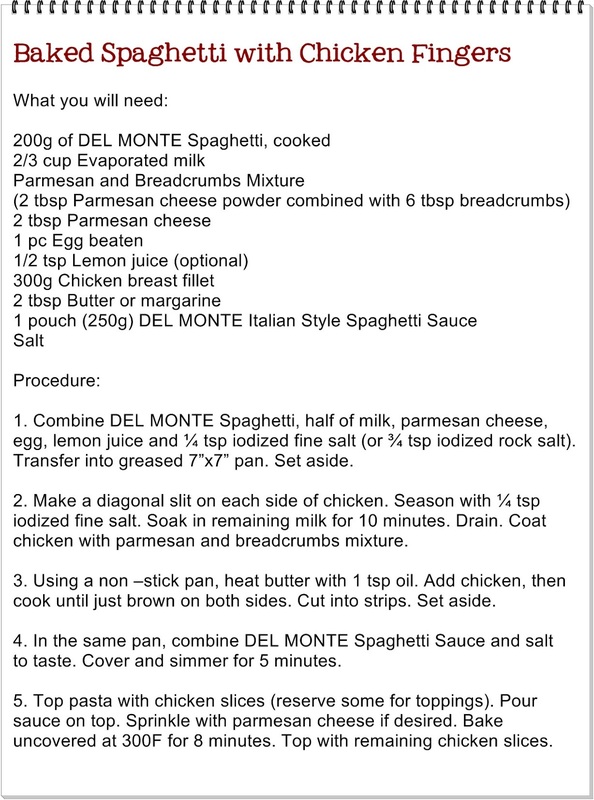 I found this recipe below and I think it just easy to prepare, right Daddy? So what's in your menu for the Noche Buena? You can visit Maggi Philippines for more easy recipes. Good morning again! It's another brand new day and guess what, it's Friday already. Another things is, it's 4 days to go before Christmas. But today is December 21, 2012 which they say is the doomsday, as this is the last day in the ancient calendar of the Mayan people. For me, no one knows when the world will end. Just enjoy each day and spend it wisely with the important people in our lives. So better forget about the doomsday, if it will come, it will. For now, let us have our Daily Inspiration fro today. Some say it is easy to be good, others say otherwise. Well, I think everyone of us has a temper and limitation. It is not always good because they are people who are abusive and never contented with what we are giving them. 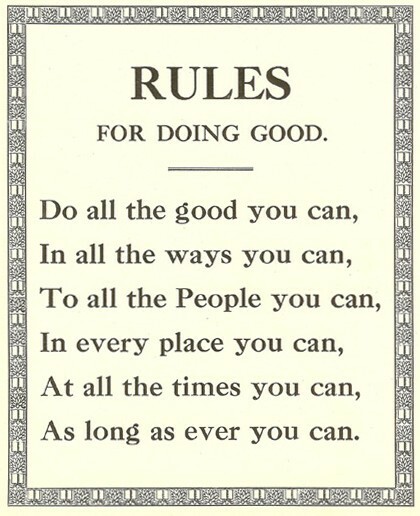 But in any case, being good gives us a different joy. I try to be good as much as I can, if I can't then please forgive me. After all, I am never perfect. Good morning! Just 5 more days to go and it's Christmas! Still not done with the MTOs and the giveaway prizes. Daddy is working on the giveaway prizes and he is almost done with the two beanies. Sadly, I don't think it will be done before Christmas so maybe it will be shipped after Christmas, on the 26th. That will be 100% sure. To my giveaway winners, I am so sorry for the delay. Rest assured it will reach you before the year ends. 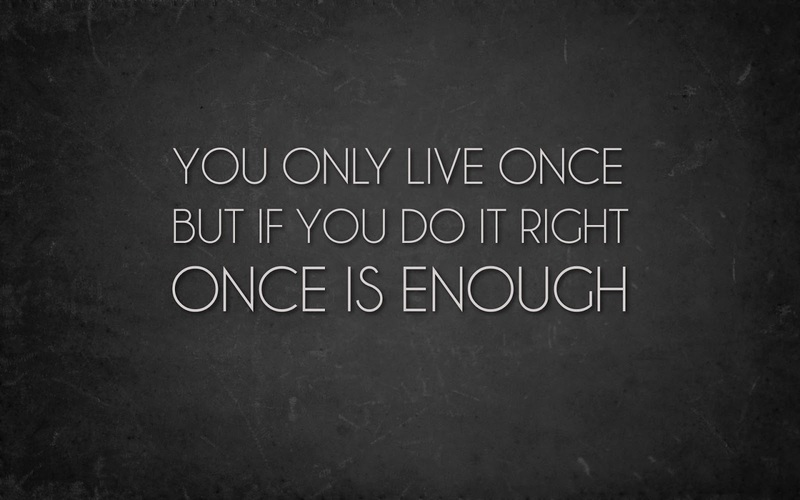 So let's move to our Daily Inspiration for today. Be careful in telling words especially when your emotion is out of control. It is easy to hurt anyone including the people dear to you. 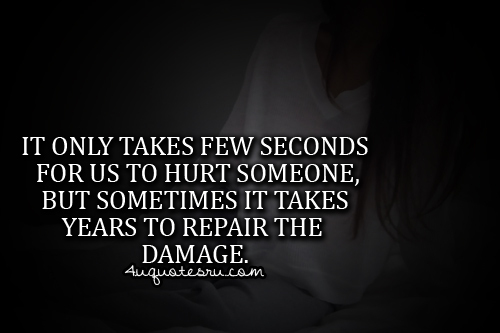 But remember, it takes some time to heal the wounds you have created and the scars may remain there forever. Think before you talk and look at your self before making any comment to other people's lives. This is on top of my list for our Noche Buena. 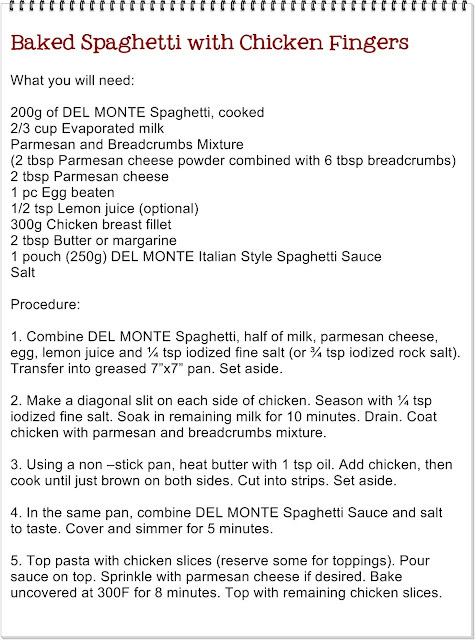 Thinking how I can make it extra special, I found this recipe from Del Monte Kitchenomics's Facebook page. This makes 5 servings so if you have more than 5 family members then just make an adjustment with the ingredients. You can use other ingredients of different brand names. We just need to be practical in terms of cost without sacrificing the taste and nutrition. Have a Merry Noche Buena! Hello Mommies and Daddies too! Let me present to you our newest Momaye's feature. I can't wait for 2013, so starting today I will be posting photos of cute babies, toddlers and kids. Of course with parent's consent. 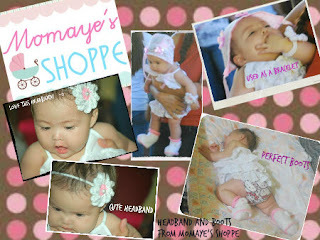 For our very first Momaye's Baby, here's our pretty baby, 5-month old Gwenevere. She's the adorable daughter of my lovely client Bea Olaya. She's wearing a white crochet boots and a white headband. So pretty no? Inggit much na naman ako. If you want your baby or your toddler or your kid to be featured here, just shoot me an email: maye.domencil@gmail.com. Please don't forget to include your name, your child's name and age, and what they are wearing. Hello everyone! Happy to share that all my laboratory examinations are normal! Though, I have asked to repeat the urinalysis since blood was found and so the doctor suspected me to have a UTI. I told her I didn't notice that I already have my menstruation that day when I submitted my urine sample. But still she insisted to do the retest. I have to oblige to have my medical certificate of course and so I did. Fortunately, no blood was seen. It just consumed my time the whole day yesterday because we need to come back in the afternoon to get the result and talk to the doctor again. I am just so thankful I am cleared. Thank God! Moving to our Daily Inspiration, I have seen this cute photo in Facebook so I will share this with you. I am guilty in love. Hehe... Oh yes, even if I am angry, I still care for the people I love. 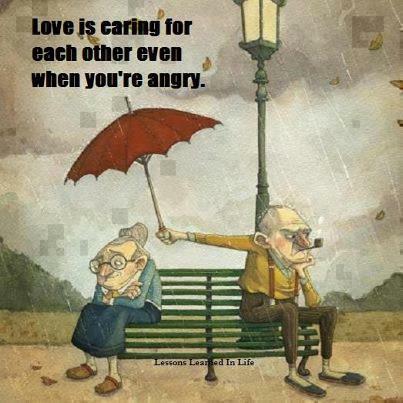 Because true love is all about caring even when you are angry. Good morning everyone! This will be a quick post because I will be out for follow up check up as part of our annual physical examination. 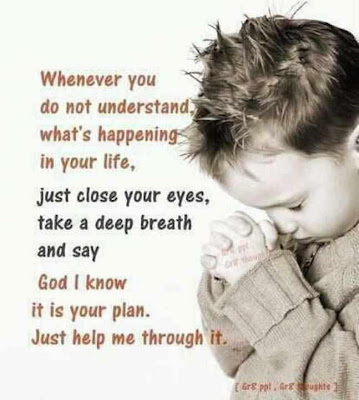 I am praying that all the test will be okay and will turn out to be normal. So let's proceed to our Daily Inspiration for today. Funny but it's true. I must admit that most of the times, like any other women, I meant more than what I say and sometimes, I speak the way around. And if men is not sensible enough, it will always end up in a fight or misunderstanding. Haha. Look who already received his Christmas gift from Mom and Dad. Lats Saturday, we went to SM Marilao to buy some stuffs for Nanay and grocery for Christmas and New Year's celebration. But since it's already late and Nanay was so tired, we skip the long list of groceries and just go for the most important ones. There are so many people buying Christmas gifts, new clothes, shoes, bags, appliances, etc. Madami pera mga tao this season eh. Hehe. Before we went to hypermarket, Daddy passed by this musical instrument shop. And so Matt followed him quickly and started to pinch on the keyboard. This salesman is really good at sales talk and he even encourage Matt to play the piano. So Matt won't let go and kept on walking around the store. The salesman gave us a good price so Daddy said we will get one for Matt. So that's the story why Matt has his Christmas gift earlier. Haha. And we never regret it, because we can see how happy, thrilled and delighted he is while playing the piano. He even sings "twinkle, twinkle, little star" while playing the piano and holding the free microphone. Even it's a little expensive, his smile is priceless. It's another brand new week! And guess what, just 8 days to go before Christmas! Still cramming like me? I really need a break so we decided to stop receiving MTOs. We will open the MTO on the second week of January. Actually, I still have bulk orders of my kumare so we will work on that this vacation but less pressure na since she will be needing those on the last week January pa. So to start our week, let me share this Daily Inspiration for today. Nice right? 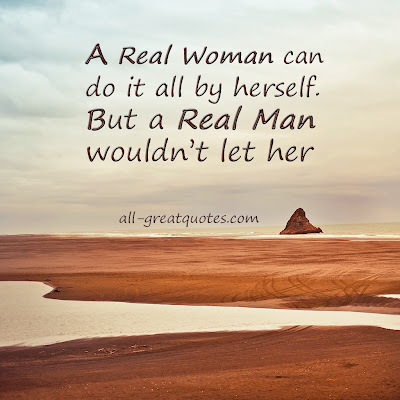 So if you are a Real Man don't let your woman do things all by herself, especially if it's really tough, even though she can make it. Be a gentleman, that is. It's family day. Just 9 days to go before Christmas. I am excited but I am not ready yet. Hehe.. There are so many things to do and buy. I am sure you can relate with me. I hope we can make out of the most today. 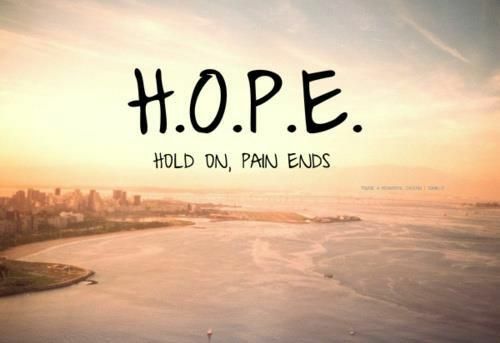 I am giving you our Daily Inspiration for today before anything else..
Let us not lose hope in anyone or anything else. As long as there's a little love in our hearts, that is all enough to not lose hope. Before I left for the party, here's an inspiring quote from no less than, Mr. Bill Gates. O see, you don't need to be the number one in school or a board topnotcher. Take for example Bill Gates. With hard works and dedication, he is now one of the world's richest men. 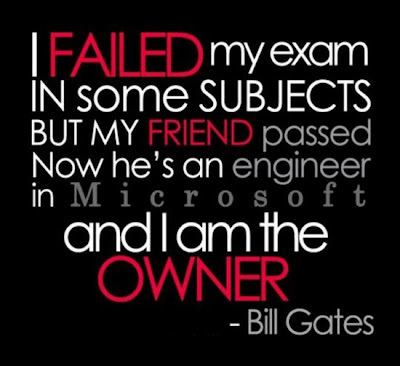 So, if you happen to always fail in school, board exam and the likes, don't lose hope. Because it's not what success depends on. Your success depends on you. Happy Saturday! Just 10 days to go and it's Christmas na. Hello everyone! It's Friday na naman. Just 11 days to go before the Christmas Day! Sadly, I am not ready yet for Christmas. We have so many deadlines to make so I am hoping we can finish them all until next week And that includes our giveaway prizes, but don't you worry because we will send them all before Christmas! And so, let us have first our Daily Inspiration for today. Moving to our Daily Inspiration for today, here it is. We are not perfect and no one is. 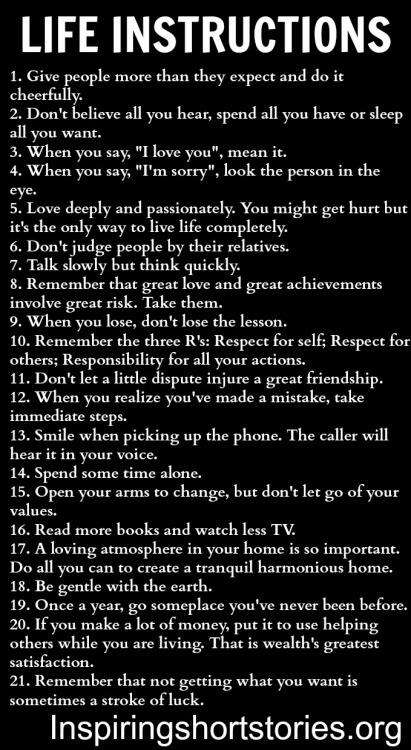 But these tips may help us as we go through the roller coaster ride of life. He can't sleep without Mommy by his side. He will wrap his small arms around Mommy's neck and he will put his legs on Mommy's waist. He will cry out loud when he wake up without seeing Mommy around. That's why Mommy makes sure that he is already awake when they leave for work. Love this little boy much, much! Good morning! Today is another day and more blessings are surely coming our way. So let us proceed to our Daily Inspiration for today. Every morning is a blessing. 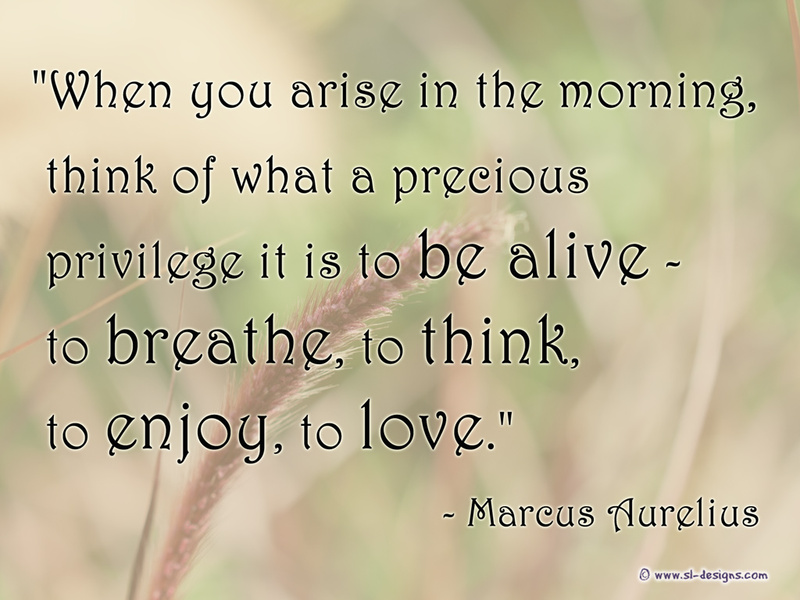 The fact that you still wake up safe and healthy are things we should be thankful of. Remember everything has a purpose so being alive has a purpose. Make the most out of each day because you will never know when you will not wake up ever again. Good morning! The day is fine though it's hot when Christmas day is coming already. Well anyway, I wish we'll receive our 13th month pay today. We'll have to buy gifts for tomorrow's Christmas party. I am so excited! Wondering how you can make a woman happy? Here's our Daily Inspiration for today. 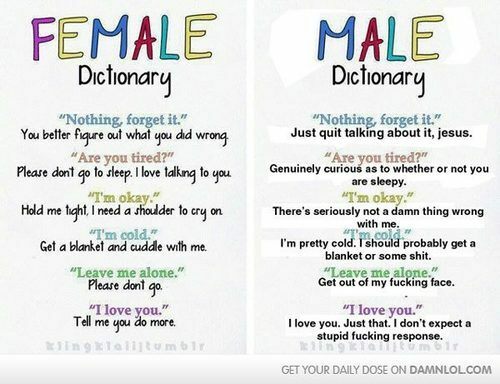 See, women are not high maintenance. You just have to give her your time, love and phrases. As simple as that. Good morning! Weekends seemed not enough for me. Time runs so fast that it's another brand new week and it's Monday. This week will be a busier week for me since we will have three consecutive Christmas parties. Oh yes, on the 12th we will have our traditional Christmas party in our department, on the 14th is our Feed mill party and the next day is the Christmas Party of the whole company. So I expect a lot of eating, haha. And so to start our day right, let me share this Daily Inspiration for today. We have choices. So make a smart choice always. I'm giving you our Daily Inspiration for today. Before anything else, here's our Daily Inspiration for today. Remember that once said and done, we can't take or hold it back. So before you take any action, think twice or thrice. Although he is small, our life revolves around him. I love the way he calls me "Maya" and his Daddy as "Sir Chief". 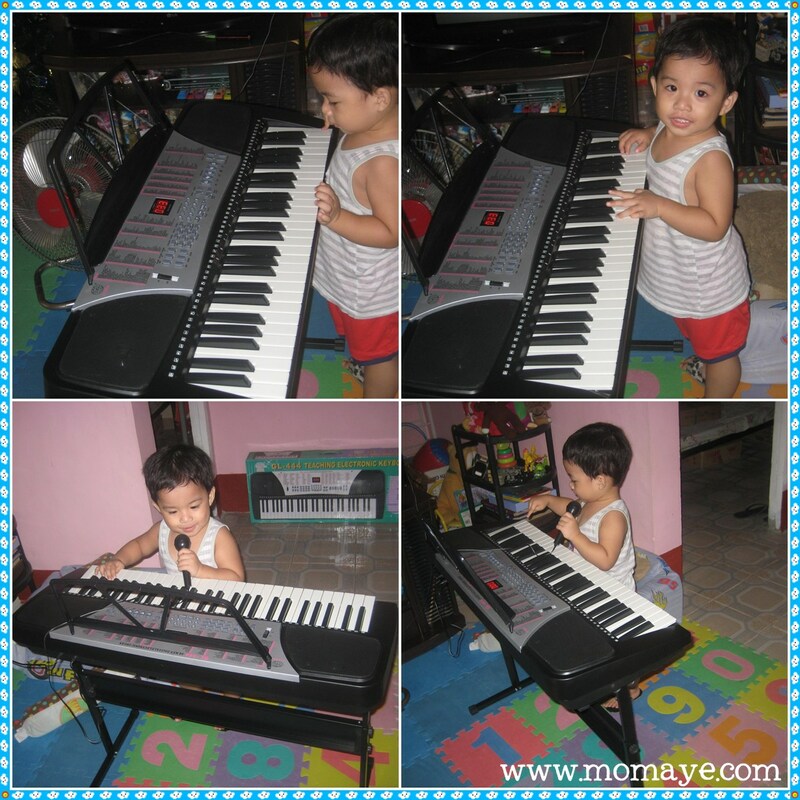 I love the way he sings Twinkle, Twinkle Little Star, ABC, Bahay Kubo, anything he knows. I love the way he says "Opo" and "nawawala ang po, PO!". I love the way he helps me to prepare the table and happily distributes plate, spoons and forks. I love the way he eat until your stomach can't contain it anymore. I love the way he imitates every word I say that makes me laugh even I am mad. I love the way he innocently says " wag matigas ulo Nanay ha, di ka gagaling Nanay ha." And when he saw me crying for the very first time, he said "bakit iiyak Mommy, wag na iiyak Mommy ha." It melts my heart for I know no matter what will happen, I will have a son who will defend me, who will take care of me and who will love me forever. Hello everyone! I am feeling better now. A lot better because I know, no matter what happens God is with me. I just feel guilty when I saw this morning, what great damage typhoon Pablo have caused to the lives of many of our kababayans in Mindanao. Here I am ranting about how I feel when there are so many Filipinos right now who are suffering from the lost of their livings and families/relatives. So I told Daddy I should stop complaining and for that, here's our Daily Inspiration for today. I can't hold my tears while watching the news this morning. My heart bleeds for those people who have lost their homes and their families. My heart even hurts seeing children who are affected and hurt by the typhoon devastation. I know God is powerful and He will heal His children. Let us all together pray for the healing of everyone and for the souls of those people who died during the onset of typhoon. Matt loves Daddy, Daddy loves Matt. They are the reason why I am happy everyday even I am sad. I am not good at pouring my heart out. In fact, I hate confrontations because I always end up trembling and shaking. And that I don't want to say words I will regret in the end. I am a kind of person who keeps everything inside my heart until I can't contain it anymore. This time my heart is almost exploding with different emotions I must let go. My OB said, I have a high tolerance for pain. That I really don't know because I feared Dentist since I was 6 because I fear pain. Motherhood change me a lot and that's absolutely true. Now, I am torn, stressed and tired. These negative feelings must let go. 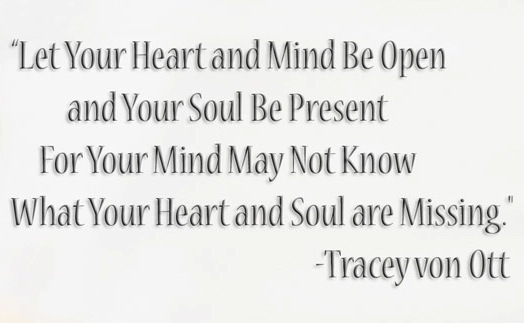 So please forgive me if I will interrupt our Daily Inspiration for today. I hope you will learn something from this too. First, I know I am not a perfect daughter. I grew up in a family where the word love is not common. But I am very sure my mother and my late father loves us, equally. It is not my fault if I do good in everything I do because this is what I want to give my parents us an exchange for their hardships and sacrifice to raise me up and my siblings. I can't pay everything they gave us that's why I promise to take care of my mother no matter what. I promise to give them a good life but things really not meant to be. My father died too soon and my mother got sick. I am always there to help them out financially and emotionally. You don't have the right to tell me that I am selfish because all my life all I want is the best for my family. I am working full time and even part time just to make sure my family will have a good life. I got married when I was 28. Am selfish that way? I am still here helping my family without you knowing. I am here quietly crying when you are harassing and disrespecting your own mother while she's begging me not to talk to you and fight back. All that I keep to myself. It is hard to pretend that everything is okay when it is not. I am a mother now and I will never allow this thing to happen between me and my son. I want him to respect and love me. Our mother raised us well so I am wondering what happened to you all because of that damn money. You accused me of several bad things when in fact these all point out to you. You are living alone because no one wants to live with you. And why? Simply because you are SELFISH and you are so greedy. I am ignoring you for the longest time but everything has to end. You keep on cursing me. But I don't fear your words because I have a strong faith in God. I know I am not doing anything bad to you or to anyone else. All we want is for you to change. You keep on saying you don't need us but you always end up eating your own words. I always forgive you and you know that very well. I always open my home to you when you are in need. Our mother is sick and yet you are just concerned with the money and your self? Our mother deserves to be happy and experience a good life. She's working since she's 16 and now she's 63, don't you think 47 years of hard works is just like that? I know it is hard to talk to a person who only knows is he is right. Family is more important than money. I will do everything just see our mother happy and that includes seeing you in good condition. I know you can't read it but I pray that after years of being bitter and selfish, you will find in your heart that we never leave you and that your family will always be here no matter what. Yes you make me mad but at the end of the day, you are still my brother and even if I hate to admit, I don't love you less even with those hurtful words you said. I am praying that one day we will be a happy family again. END. Want a new iPad? Then this is your chance to own one! 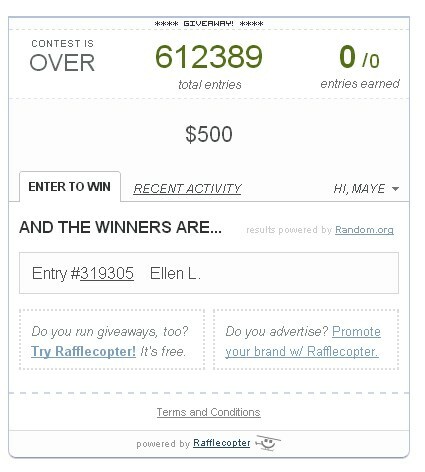 Just click the photo and enter the Rafflecopter form. Hello everyone! It's another brand new day and I hope everyone is okay. Oh, there are some blogs that I can't open because of malware detection. Daddy Allan said that NuffnangX is also detected with malware. And so those with NuffnangX ads or links will also be blocked by Google Chrome. Mine is okay so far or I don't know if anyone is having a problem with my site. I hope none. Moving to our Daily Inspiration for today, here's a funny but true quote about friends. I told you he is very much into puzzles. 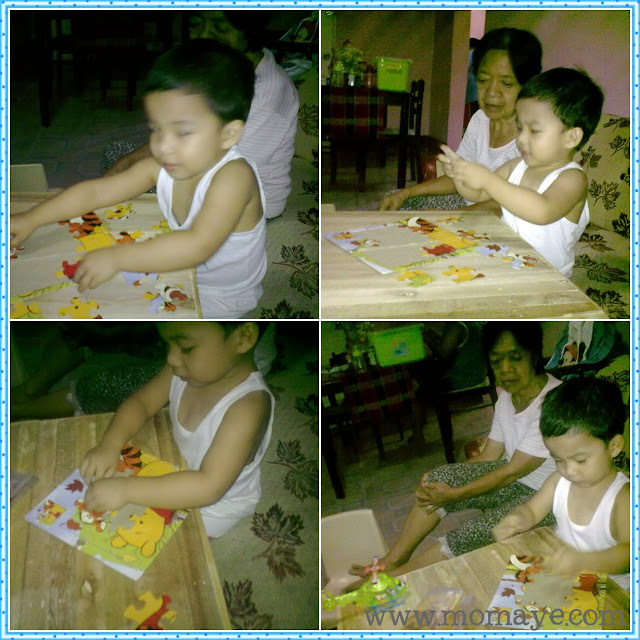 This has been part of his playtime and now nag-level up pa. My post here is just a small 6-piece puzzle and now look what he is solving. And yes, the little boy is with his Lola na. Lola is always beside him and always following him every where. Haha.